Here's the Sileni story in 97 words. Graeme Avery is a pharmacist who founded a medical publishing business that took him around the world. He loved having wine with dinner. In 1997, he connected with Grant Edmonds, who had been chief winemaker for Villa Maria. Edmonds loves Merlot and thus lives in Hawke's Bay, the warmest region in New Zealand, so that's where they founded Sileni. Most of their wines in New Zealand are from Hawkes' Bay estate vineyards, and initially their top varietal was Semillon. "But the world demanded Marlborough Sauvignon Blanc," says Graeme's son Nigel Avery, so now they make that too. Nigel Avery currently lives in Minneapolis to better understand the U.S. market. "We heard the winters were nice," he says. "We got some good footgear, gloves and jackets. It works." In the U.S., Sileni "Cellar Selection" Marlborough Sauvignon Blanc is the company's flagship, and it's very good value. It sells for $10 - $12 a bottle (find it here) and is more refined than the usual SB in that price range. Avery says it's because the wine has about 5% Semillon from their Hawke's Bay estate. "It gets a little more roundness on the mid-palate," Avery says. "The really crisp, aggressive style is what put New Zealand on the map. We want a more elegant style." One striking point about Sileni Cellar Selection Sauv Blanc is the lower alcohol level: just 11.5% for the 2014. In the U.S., we usually only see alcohol that low on sweet Rieslings, but in New Zealand and Australia, lower-alcohol wines -- made naturally, without mechanical techniques like reverse osmosis or spinning cones -- are a growing part of the market. And in New Zealand, Sileni does some wines at even lower alcohol, about 9 1/2%. This wine is simply farmed (bigger crop with more foliage) and picked (earlier) for a little less alcohol. For people who seek less alcoholic wine, it must be nice to have another choice. "The lower alcohol is a byproduct for us of the wine we're trying to achieve," Avery says. When I opened them to taste, I prefered the Cellar Selection Sauvignon Blanc. But after they'd been open a while, and especially the second day, I preferred The Straits Reserve Sauvignon Blanc ($16), which spends 10 weeks on its lees, also with the goal of a more elegant mouthfeel. The Cellar Selection tastes more unmistakably New Zealand to me, with tropical fruit notes, while The Straits, with a citrus character and broader mouthfeel, could pass for French Sauvignon Blanc, if that's what you're after. You have to look around for the wine, though: I found the Cellar Selection Sauv Blanc in dozens of U.S. stores, but The Straits in just two. You don't see a lot of Pinot Noir from Hawke's Bay, which is better known for Bordeaux varieties. But U.S. drinkers think of New Zealand only for Sauvignon Blanc and Pinot Noir*, so we get a Sileni Cellar Selection Hawke's Bay Pinot Noir. It could pass for a Central Otago wine, with good freshness and nice cranberry-raspberry fruit. It's also a refreshing 12.5% alcohol. And it's only $16 (buy it here), which makes it a terrific deal because it tastes like Pinot Noir and not oak and sugar, unlike many Pinots in that price range. Then there's the Nano, which comes for the moment in, of course, Pinot Noir and Sauvignon Blanc. It was developed in collaboration with a French company and is made to prevent oxidation, always a challenge with plastic. The bottle has two layers of PET (polyethylene terephthalate) around a layer of nylon mixed with an "oxygen scavenger." The manufacturer claims the bottle will oxidize at about the same rate as a glass bottle for two years, which gives it a much longer shelf life than a box or bag-in-box wine. As for the wine, Avery says, "Compared to whatever else is on the market, it's a New Zealand wine. It really truly is a premium wine." 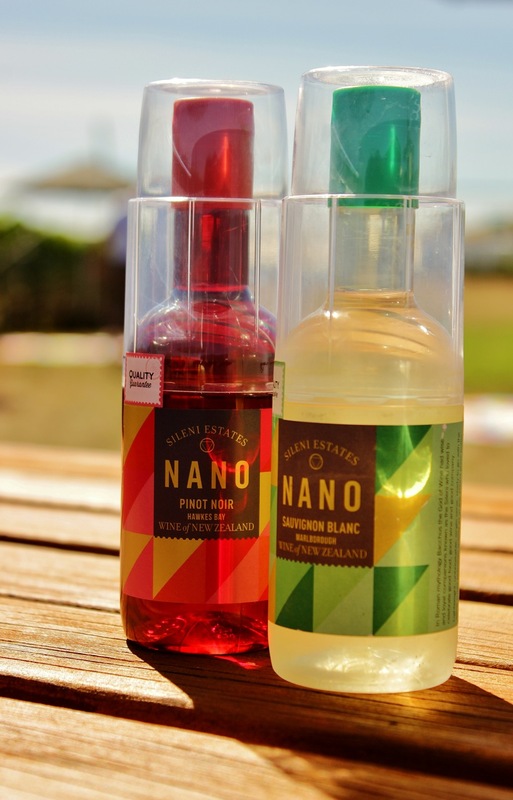 I preferred the Nano Sauvignon Blanc; it's recognizably New Zealand, refreshing and slightly tropical. There is a catch, though: it's not good at room temperature, which means you have to keep it chilled. I added an ice cube and that was a reasonable lifehack, assuming you drink the wine fast enough so that it doesn't get watered down. The Nano was only introduced last year, and now it's in 40 states. Avery says it sells best at stores that are close to national parks. For some reason Sileni sent me only one bottle each of its 750 ml wines (sigh) but an armload of Nanos. Fortunately it's baseball season. In the early 2000s, I discovered the 1998 Sileni Merlot-Cabernet blend at a local wine store. Knowing nothing about the winery, but the price being in the teens, I took a flyer and bought the bottle. Apparently, it was their first vintage. Pinot Noir may have found a home in Martinborough and South Island, but what about Bordeaux varietals? 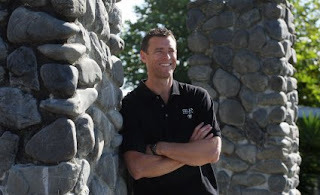 JAMES LAWTHER MW explains that Hawke's Bay is the next great site for Merlot-based blends, and names those on the premium track." "Of the newer faces, Sileni Estates is definitely the area’s most ambitious project. 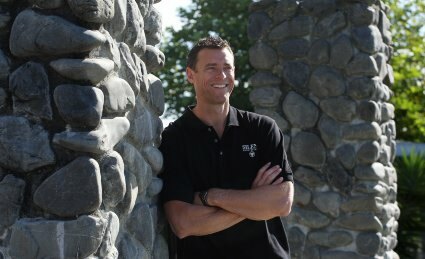 The vision of owner Graeme Avery, the complex includes a vathouse, cellars, two restaurants and a wine education centre. Externally, two vineyards of about 50ha each are being developed. Grape varieties include the Bordeaux mix, but winemaker Grant Edmonds, formerly of Villa Maria, reckons the future lies with Merlot. ‘Cabernet Sauvignon is too vigorous here and too irregular in quality,’ he says. As proof of this conviction, he is having the Cabernet Sauvignon at his own property, Redmetal Vineyards, grafted over to Merlot. The Sileni Merlot-Cabernet 1998 (the first vintage) is a rich, firmly structured wine, but bigger and more voluptuous still is the EV 1998, made from 80% Merlot and 20% Cabernet Franc."